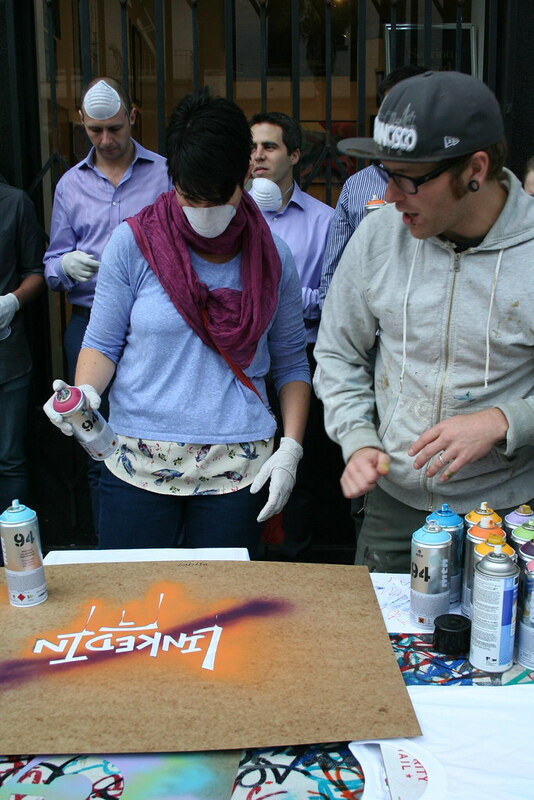 LinkedIn takes their cans to canvas! Home/Classes, Community, Team Building Workshops, Uncategorized/LinkedIn takes their cans to canvas! 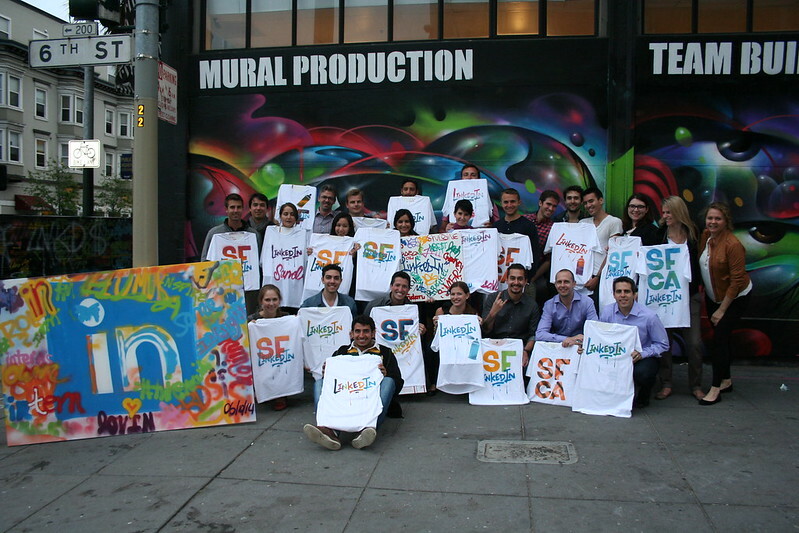 When LinkedIn‘s team left our gallery, they had not only spray painted stencils onto t-shirts using their company’s name, but they took home a tagging canvas with their LinkedIn logo. Send us an email at privateevents@1amsf.com to get your team tagging here!